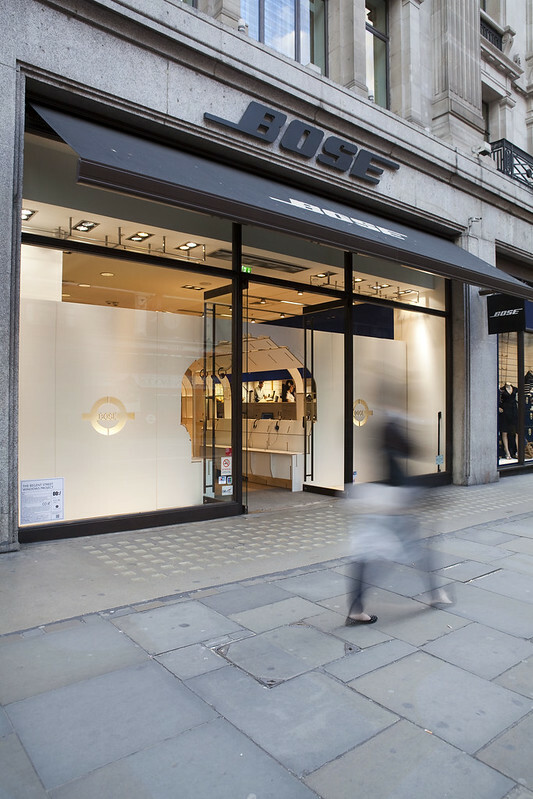 From 16th April to 6th May, the Bose store on Regent St. is offering a rather different retail experience, in the form of 00:/s 'Co-mute' installation: a shop window for the ears. Co-mute has been designed as part of the RIBA Regent St windows project, which partners architects with world-class retailers on Regent St. 00:/s project with Bose offers a shop-window which is not consumed visually, but acoustically. 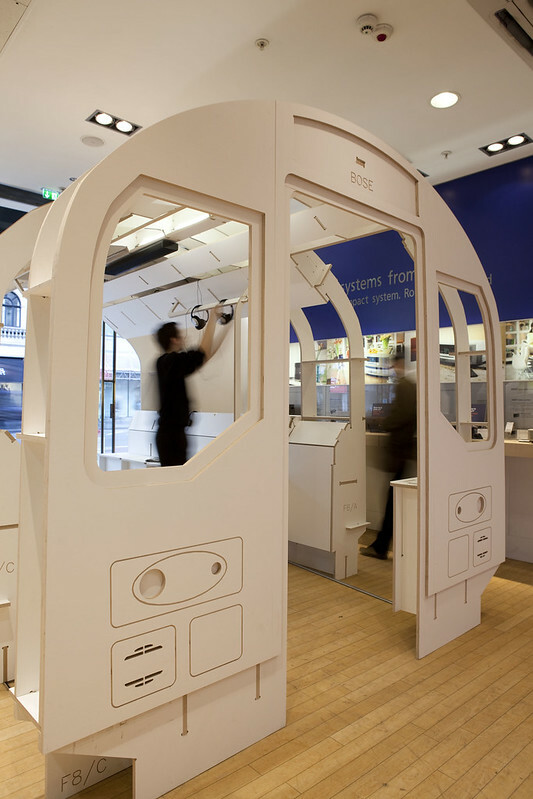 It takes the form of a London underground 'simulator', constructed in CNC-cut laminated plywood, which recreates the 3D immersive experience of the London underground, but then allows visitors to block it out, using Bose's acoustic noise-cancelling headphones. Co-mute will be installed at 185-191 Regent Street until 16th May. Photography copyright Agnese Sanvito, used courtesy of the RIBA.